This morning Malala Yousafzai officially opened the new Library of Birmingham. The Library aims to “rewrite the book” for modern public libraries and offer “world-class facilities and resources” (see Mission Statement). It is the largest public lending library in Europe. 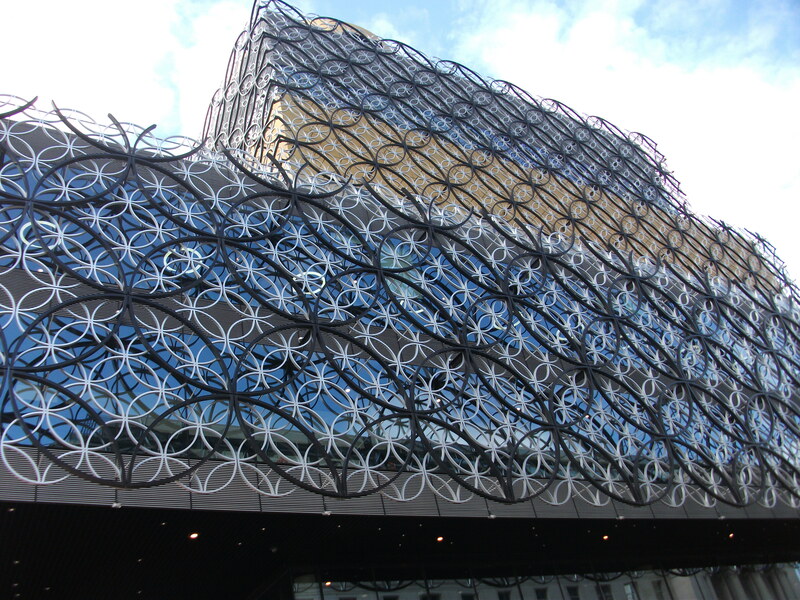 I think it’s a stunning building, shining out golden across Birmingham with a façade made up of over 5,000 silver and black circles. The appearance has been a bit controversial, but I adore it. It’s quite an imposing building, and some aren’t fond of it, but you can’t deny that the new Library is quite the eye-catcher. I’ve been quite excited about this building. You see, I work for Carillion, the Main Contractor responsible for building the Library of Birmingham, and my job has involved keeping my department’s records up to date for completed and ongoing projects, including the Library of Birmingham. And since it’s been a flagship project for the company, I’ve been seeing a lot of info about the Library – and an awful lot of amazing photos. I am also a huge fan of libraries. I think they’re the most wonderful places. I spent many a lunch hour in my school library as a teenager, and as a university student there was no place I loved better than a particular desk on the third floor of the University of Leicester David Wilson Library, near the ancient history and archaeology shelves, with a view out over the neighbouring college’s sports pitches and plenty of natural light. I even wrote a poem about it. 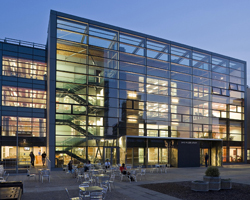 This was still being built when I began as a student, but by the time I graduated it was my favourite place to be on Campus. You will understand, therefore, my excitement about the Library of Birmingham. In fact I’ve been waiting months to write this blog post. 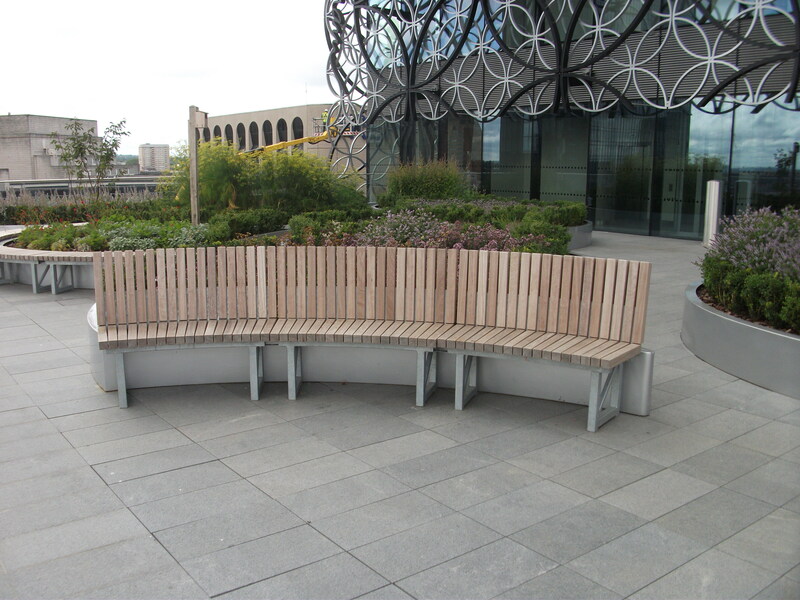 The Library is full of different types of reading spaces – from normal desks, rounded distraction-eliminating chairs and outside rooftop terraces planted with beautifully scented plants. It’s more than a storage space for books, a place to visit briefly to fetch from or return to, it’s a reading environment designed to nurture and encourage readers, as well as a community space. 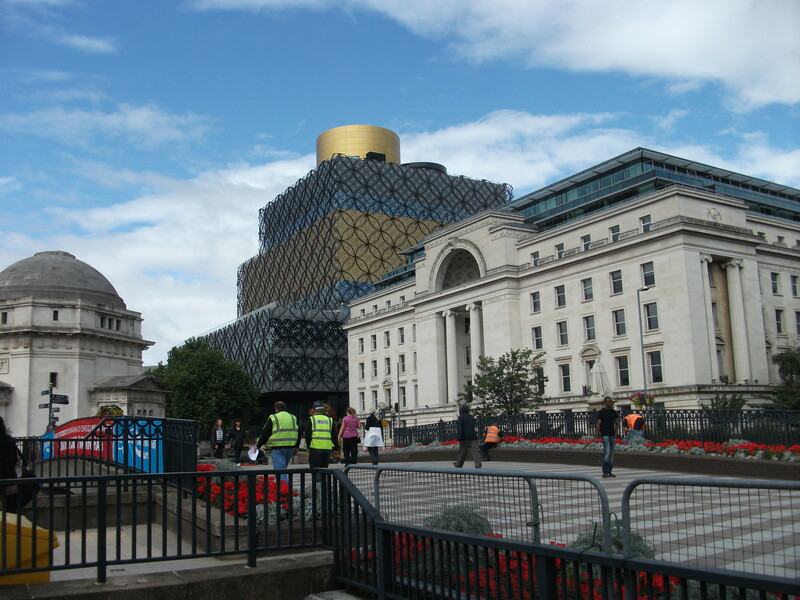 The Library takes a central position overlooking Centenary Square. The Library boasts a vareity of different reading spaces for all kinds of readers. 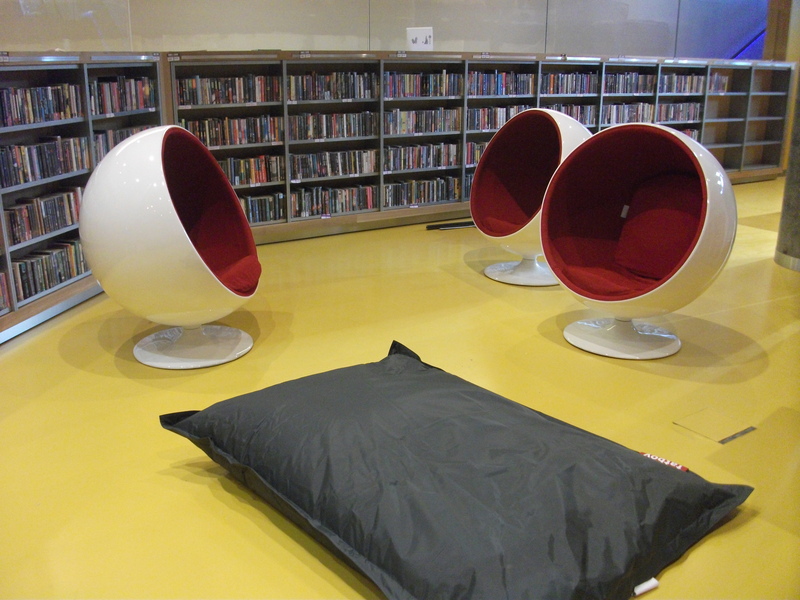 THese chairs reportedly direct noise away from the occupant, creating a quiet, solitary reading environment even in the middle of a large public library. 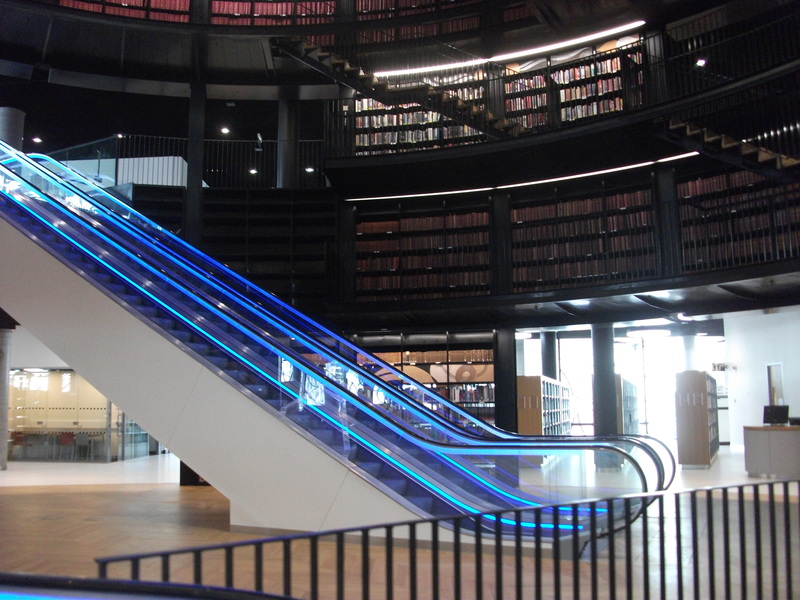 THe centre of the Library is huge and open, with escalators and a massive travellator enabling movement around the galleries. The rooftop terraces have landscaped garden areas.